another (Iain Donnan) who is a national-class runner and has to be the fastest runner I’ve ever known (13:50 5k). I have run at 3 club runs lead by Martin and Iain was compassionate enough to humor me on a 9-mile trail run where I was running hard and he was at something shy of warm-up pace. 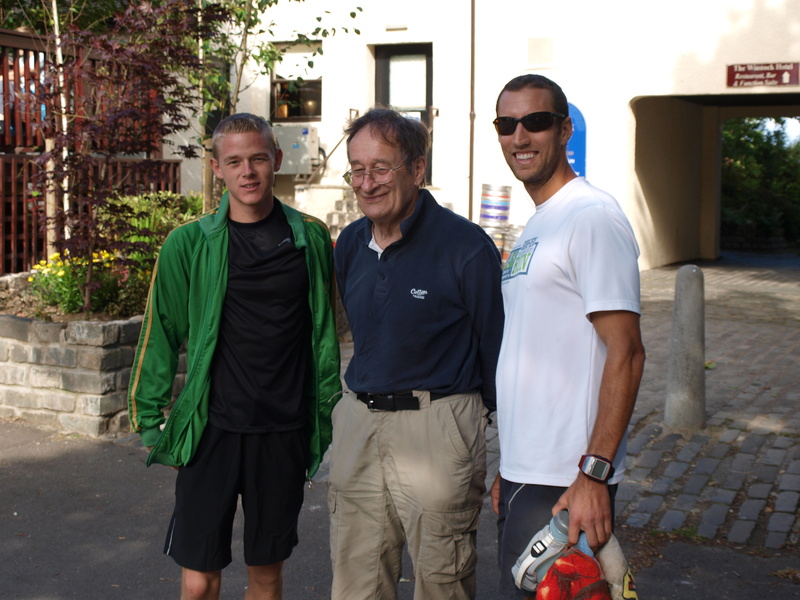 These runners have been very generous with their time and have really changed my ideas about training. Running nerds update: Scotland in summer is quite a place to train. differentness to keep things interesting. Martha Ledezma McMeekin likes this. Jessica Carter Dang, and I was excited we did another 1/2 yesterday. You ROCK!!! Mike Randall JC, I’m looking forward to your race report. You and Matt run it together?I just finished my first back-to-back long runs in about a year. Very slow but not much pain for 23 yesterday and 16 today. But in case you are wondering, “just” 13.1 is still definitely a long run, especially when running fast. Good job for dedicating yourself to the training and enjoying the race.